Bill Dobbins is professor of jazz studies at the Eastman School of Music in Rochester, New York, where he teaches the jazz composing and arranging courses and directs the award winning Eastman Jazz Ensemble and Eastman Studio Orchestra. 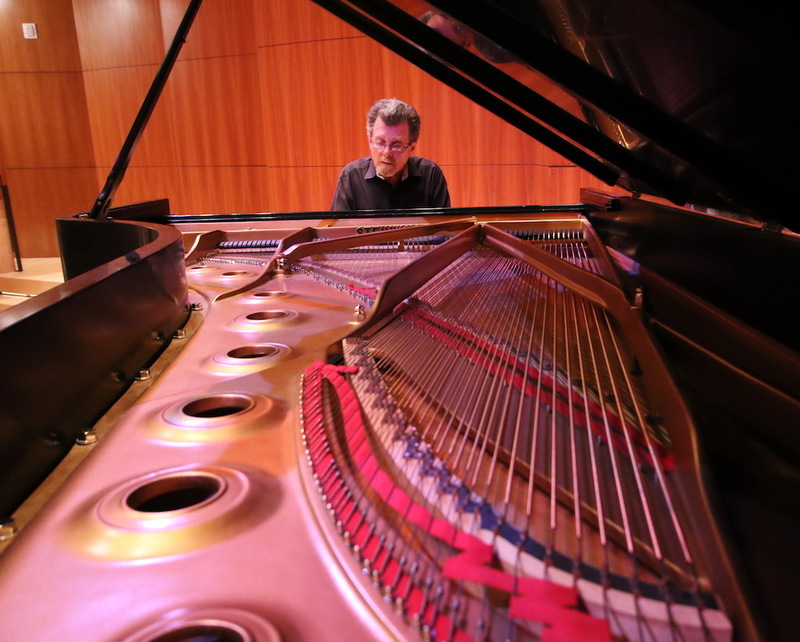 As a pianist, he has performed with orchestra and chamber ensembles under the direction of Louis Lane, Pierre Boulez, Lukas Foss and Frederick Fennell, and he has performed and recorded with such jazz artists as Clark Terry, Al Cohn, Red Mitchell, Phil Woods, Bill Goodwin, Gary Foster, Dave Liebman, John Goldsby and Peter Erskine. He joined the Eastman faculty in 1973, and was instrumental in designing both the graduate and undergraduate curricula for Eastman’s Jazz Studies and Contemporary Media program. Many of his students have been heard in the big bands of Count Basie, Woody Herman, Buddy Rich, Maynard Ferguson, Thad Jones/Mel Lewis, Chuck Mangione, Maria Schneider, and Bob Brookmeyer’s New Art Orchestra. From 1994 through 2002 Mr. Dobbins was principal director of the WDR Big Band in Cologne, Germany, and he headed the jazz studies department at the Hochschule für Musik in Cologne from 1998 to 2002. Concert, radio, television and tour projects under his direction with the WDR Big Band included internationally acclaimed soloists Clark Terry, Dave Liebman, Randy Brecker, Gary Bartz, Eddie Henderson, Kevin Mahogany, Art Farmer, Steve Lacy, Paquito D’Rivera, Mark Feldman, Gary Foster, Clare Fischer, Peter Erskine, Nicolas Simion and the Kings Singers. As guest director, he continues to write and direct programs for the WDR Big Band, the Netherlands Metropole Orchestra and the Scottish National Jazz Orchestra. Advance Music publishes Mr. Dobbins’ compositions and arrangements for big band, chamber music combinations and solo piano. Jazz education programs worldwide have adopted his volumes of transcriptions of classic jazz piano solos and jazz textbooks for use in their courses.These include Chick Corea: Now He Sings, Now He Sobs, Herbie Hancock: Classic Jazz Compositions and Piano Solos, Clare Fischer: Alone Together/Just Me, Jazz Arranging and Composing: a Linear Approach, A Creative Approach to Jazz Piano Harmony, How to Play Piano in a Big Band, Composing and Arranging for the Contemporary Big Band,Conversations with Bill Holman: Thoughts and Recollections of a Jazz Master, and a DVD, The Evolution of Solo Jazz Piano. Recent CDs include J.S. Bach: Christmas Oratorio, with the Kings Singers and the WDR Big Band, arranged and conducted by Bill Dobbins (Signum Classics), Balkan Jazz, with Nicolas Simion and the WDR Big Band, arranged and directed by Bill Dobbins (Big Band records) and Composers Series (solo piano): Volume 1 – music of Clare Fischer and George Gershwin, and Volume 2 – music of Duke Ellington and Billy Strayhorn (Sons of Sound).